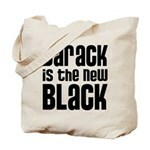 Barack is the new black. 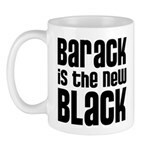 Support our president in the 2012 election with this trendy text design. The most comfortable women's t-shirt ever! 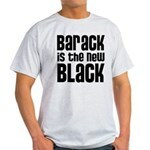 Our 100% cotton, Hanes Her Way-T is preshrunk, durable and guaranteed. To order by phone, call toll-free at 1-877-809-1659 from Monday - Saturday 9:00am - 9:00pm EST. You'll need to note the Product Number 030-152948841 to make your order.